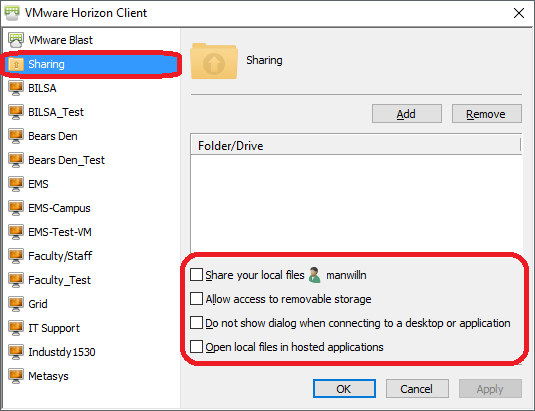 How to turn off local file sharing with the remote desktop to reduce bandwidth requirements in the VMWare Horizon View Client. This may be necessary if the internet connection used is a slower speed DSL connection. 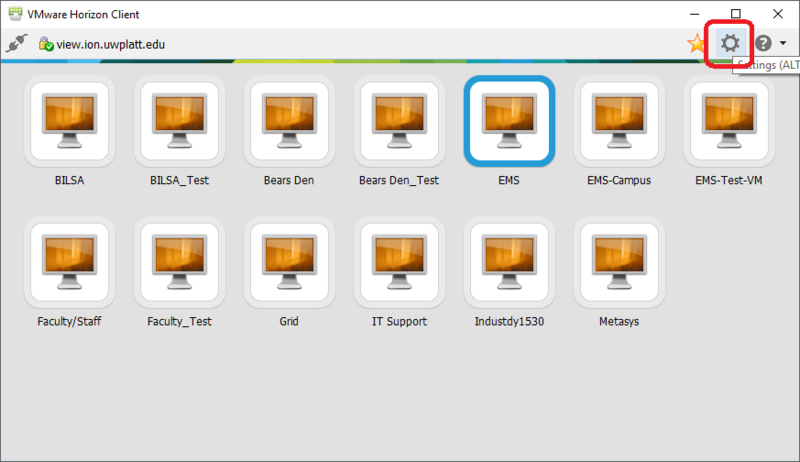 Once the desktops are listed, click on the gear menu in the upper right corner to open "Settings". Select "Sharing" on the left navigation bar. Uncheck all the boxes in the right-hand section to reduce bandwidth usage. In order for local USB drives to be accessible remotely, you can keep the "Allow access to removable storage" box checked. Please recognize that this does require significant bandwidth as any file transferred from a flash drive to the remote machine will need to upload through the connection.